Jill Festival will speak at the ninth annual Valley First/UBC Okanagan Scholarship Breakfast on Thursday, April 24. 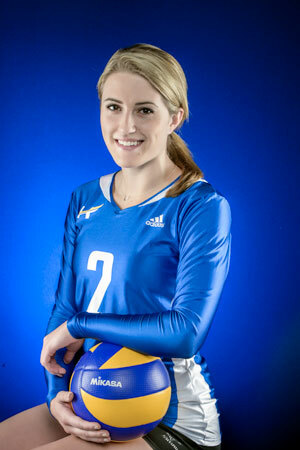 Fifth-year volleyball player Jill Festival has enjoyed team and individual success throughout her varsity days at UBC’s Okanagan campus. To cap off her career with UBC’s Okanagan Heat, Festival will speak at this year’s Valley First/UBC Okanagan Athletics Scholarship Breakfast on Thursday, April 24. 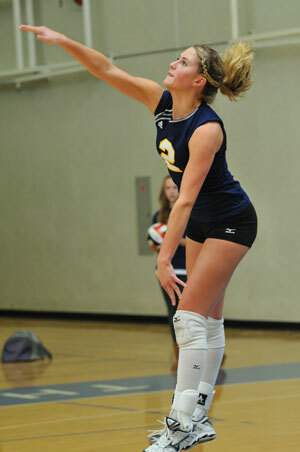 Festival, who graduates this June with a bachelor of arts degree in English and psychology in the Irving K. Barber School of Arts and Sciences, captained the Heat volleyball team for the past three seasons. Strong in academics and athletics, she has won the Canadian Collegiate Athletic Association (CCNA) National Scholar Award and twice been named an Academic All-Canadian. At the scholarship breakfast, Festival will speak about the importance of community support and how varsity athletes often depend on scholarships to allow them to play at the high-ranking Canadian Interuniversity Sport (CIS) level. Also speaking that morning is CIS top executive Pierre Lafontaine. Student speaker Jill Festival, Heat captain for the past three seasons, has won the CCAA National Scholar Award and twice been named an Academic All-Canadian. Rob Johnson, director of Athletics and Recreation at UBC Okanagan, says it’s exciting to have Lafontaine, a man so tied into the world of university sports, come to Kelowna and speak about varsity athletics. Before joining the CIS, Lafontaine was CEO at Swimming Canada, where he led the organization to consistent podium finishes at Olympic and Paralympic games. However, to get to the podium, student athletes need more than just natural talent and a competitive drive, says Johnston. And that’s where the scholarship breakfast comes in. Money raised goes directly to student athletes. “Many of our student athletes couldn’t afford to participate on our teams without the financial awards that we offer as a result the athletics breakfast,” says Johnson. UBC matches every dollar raised at the Valley First/UBC Okanagan Athletics Breakfast and overall more than $400,000 has been raised for the Athletics Scholarship Endowment. This year’s breakfast agenda is jam-packed as out-going UBC President Stephen Toope will also speak at his final appearance at the Athletic Scholarship Breakfast. He leaves his position in June and this will be one of his last official speaking dates in the Okanagan. The ninth annual Valley First/UBC Okanagan Scholarship Breakfast takes place on Thursday, April 24 at the Coast Capri Hotel. Doors open at 6:45 a.m. and the program begins at 7:15.